In addition to a chance to see most of The Walking Dead actors and be one of the lucky ones to see the first trailer for season five at its July 25 panel, visitors to San Diego during Comic-Con will also get a chance to take part in The Walking Dead up close and personal with The Walking Dead Escape July 25 and 26. 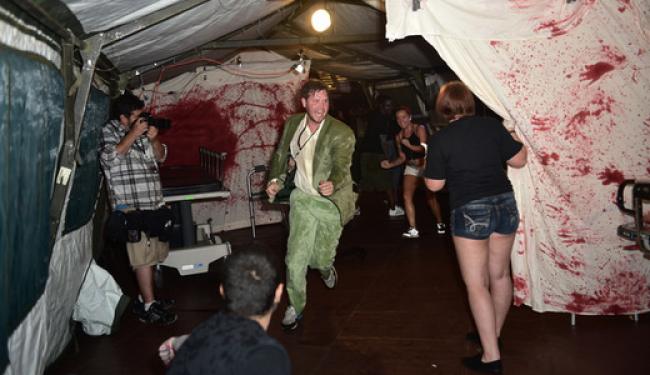 The Walking Dead Escape is a specially themed The Walking Dead obstacle course where participants can either dress up as a walker or try to escape them as a survivor. You can also just spectate, if you wish. This is its third year of being held in conjunction with the con at nearby Petco Park in San Diego. The event started at that location and has gained in popularity to become a nationwide tour. This year you can also get an early bird special on tickets for the event. Buy tickets at www.thewalkingdeadescape.com or www.tickets.com. The full press release for the event follows. Note that some of the dates scheduled have already passed. Additional tour dates will be announced in the near future. Tickets can be purchased via www.thewalkingdeadescape.com or www.tickets.com as part of a marketing partnership with Tickets.com. 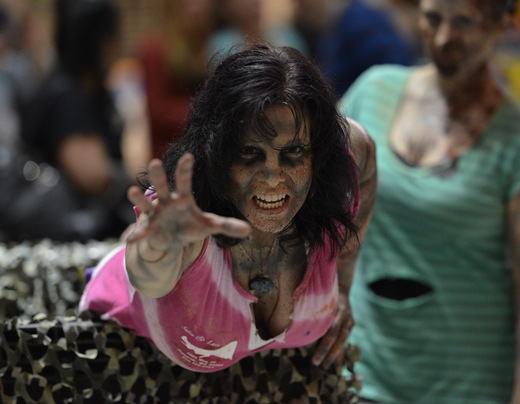 After its successful 2012 debut at San Diego’s Petco Park, The Walking Dead Escape expanded with three additional events in major cities in 2013, including New York, where the course was integrated aboard the aircraft carrier the USS Intrepid. Based on fans’ enthusiastic response, Skybound decided to take the events to the next level with a national tour. “I’m thrilled to offer fans new and old an even bigger, more interactive experience this time around. It’s great to see fans of the comic book and television series live in the world I created so many years ago,” says Robert Kirkman, creator and executive producer of The Walking Dead. 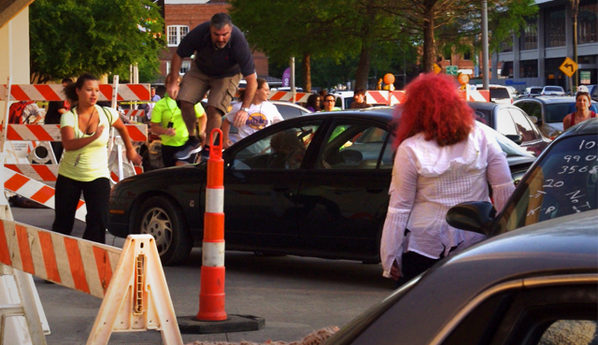 The course, which has already thrilled tens of thousands of participants since its debut, allows fans to participate as “Walkers” or “Survivors” as they climb, crawl, and slide their way through various zombie- infected evacuation zones. Those lucky enough to make it to the decontamination zone will have their level of infection assessed and then participate in the event’s Fan Experience.